Captain America: The Winter Soldier never really had a serious challenge from any of the films it faced. 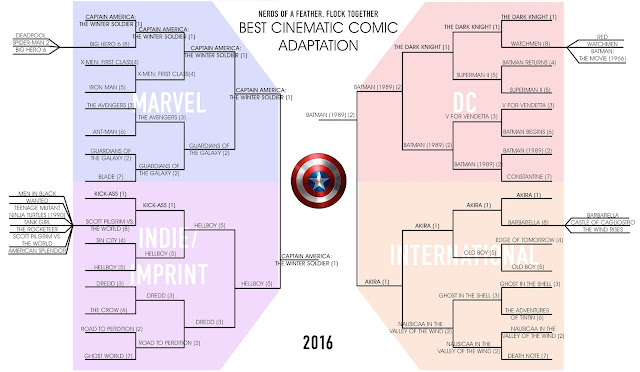 We can all speculate what might've happened if Tim Burton's Batman hadn't ridden a wave of (misplaced) BvS: Dawn of Justice excitement to a win over Akira, but I'm personally not going to quibble with this result. 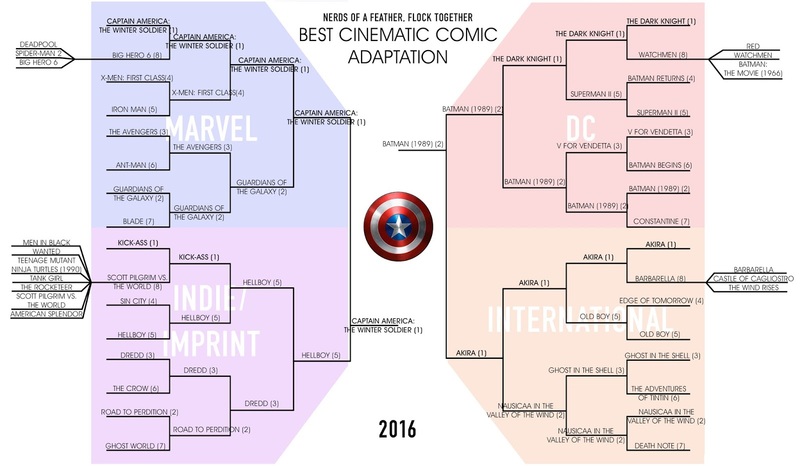 And now we all wait for another month to see if Captain America: Civil War can top its predecessor, or will be a huge disappointment like Avengers: Age of Ultron. The tournament rounds are here, here, here, here, here, and here if you want to see how the voting went down.